Will it be a successful as the upcoming Avengers project from Marvel Studios though? According to the good folks over at ComicBookMovie.com Warner Bros. has quietly green lit a new Justice League movie. This movie will supposedly not be based on the previous attempt whatsoever which took place during the writer’s strike. This is an entirely different movie they will be putting together. At this time it is still in the very early stages- the film has been green lit but there is no script, merely an outline for the plot. Lemme see, I know I’m forgetting some other detail…OH YEAH! 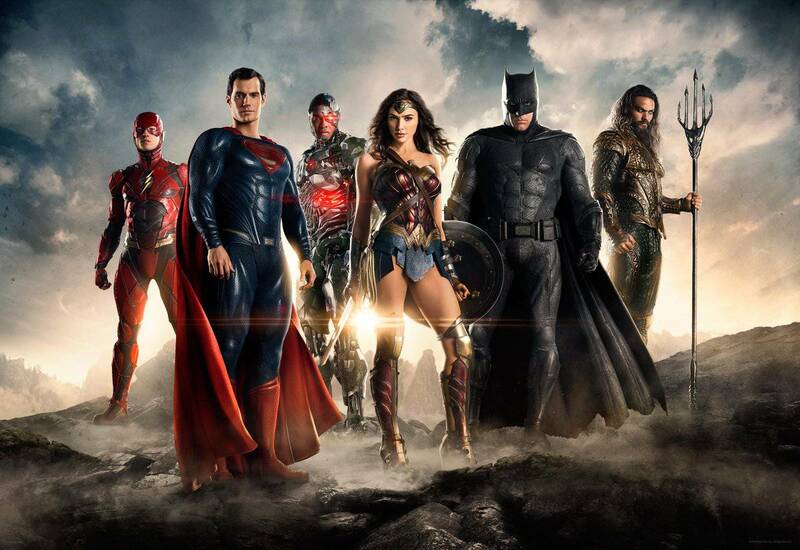 There will be NO Batman or Superman in this Justice League movie. no-superman-batmanI will give you a moment to pick up your jaw. Welcome back. You read correctly, there will be a Justice League without 2 of the key founding members. A while back Warner Bros. had announced how they were planning to develop the DC Comics properties in order to maintain a steady cash flow from a long running franchise, as their current one (Harry Potter) was coming to an end. I have to wonder though how good a Justice League movie will be without two of the marquee members. Apparently the new JL movie will be used as a vehicle to introduce Wonder Woman, Aquaman and Martian Manhunter to movie going audiences. This tells us that the Wonder Woman movie currently stuck in limbo will remain there until well after this movie is released. I find this odd considering that the last we heard about the Wonder Woman movie was that the script was done. All they really needed to get going is a director and production budget. From there you can begin casting. This would very likely mean that the script WB is currently holding on to will be tossed out. After all they will have to explain her new less American outfit that was re-designed in order appeal to a worldwide market. This new Justice League movie will apparently be released some time after Batman 3, the Superman reboot, Green Lantern 2 and the Flash movies already in the works. The team roster for this JL movie will consist of Green Lantern, The Flash, Wonder Woman, Aquaman and Martian Manhunter. I would expect that since the current Green Lantern movie (in production) is technically the first movie being released under the DC Entertainment flag that they are starting to build their movieverse with that film. If you look at the puzzle pieces prior to this then it kinda makes sense. For example, adding Amanda Waller to the Green Lantern movie. What possible purpose would that have unless you were introducing Cadmus? You would need to explain and show the very reason they feel it necessary to form this organization. Mark my words folks, expect Amanda Waller to show up in the Flash movie as well as the Wonder Woman & Justice League movies. As far as the Superman movie is concerned, don’t count on it. Nolan is a firm believer in keeping his heroes based in reality which also means they exist in their own universe outside the upcoming DC movieverse. This is very likely why there is no Batman or Superman in this new JL movie (at this time). The last thing WB wants to do is upset the balance of what Nolan is doing since it pays off so well for them everytime. They likely feel it’s better just to leave him alone while he works. How the hell is this movie gonna work without Batman and Superman? they're like the main attractions, it's like going to a laker game and kobe and pau sitting out. or going to a heat game and wade and lebron are out. Edited by ace™, August 07, 2010 - 02:28 AM. Totally agree with both of you. It'd be dumb without them. Not really excited at all. I mean, don't get me wrong, I do like the other characters/superheroes as well, but without the top two guns, it just loses A LOT. & by the way, I think they could do a ton of interesting things with a Wonder Woman movie of its own if done intelligently. Thats so gay lol how do you not have bats and supes their the leaders and most important members this could be a huge fail w/o them. I'm guessing it came down to do you want more Nolan Batman films or Batman in the Justice League. I'll stick with Marvel films. The last DC film I liked was TDK. The only thing I would say is if there is no supes/bats they need to get a good leader in there. Like maybe throw in nightwing/superboy something like that so at least there is a rep from both franchises. However IMHO team up franchise are really ment more for lesser franchises. Aren't batman and superman number 1 and 2 in the Justice League? Hell, didn't Superman actually put the justice league together? via Bosslogic. I'll post the updates here. Edited by Majesty, July 03, 2016 - 11:15 PM. Yeah I'm not sure what they're trying to do with this. Wonder Woman looked phenomenal in her trailer. I'll wait and see with this. Loving Ezra Miller as Barry Allen already!